Perhaps it’s because it’s so simple, so simply lovely, so peaceful to view. 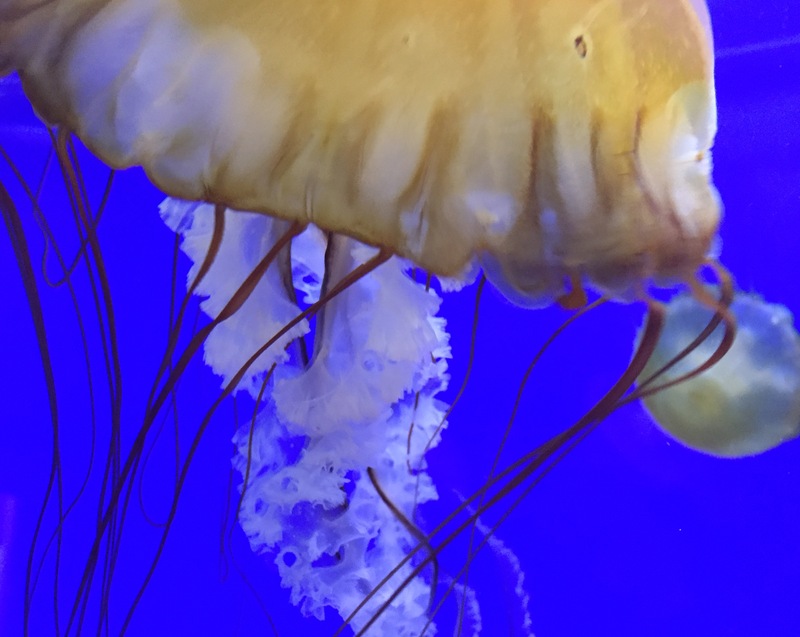 Maybe it’s because the jellyfish are behind glass and there’s no risk of getting stung. That being said, the jellyfish exhibit is one of my favorites at the Oregon Coast Aquarium. 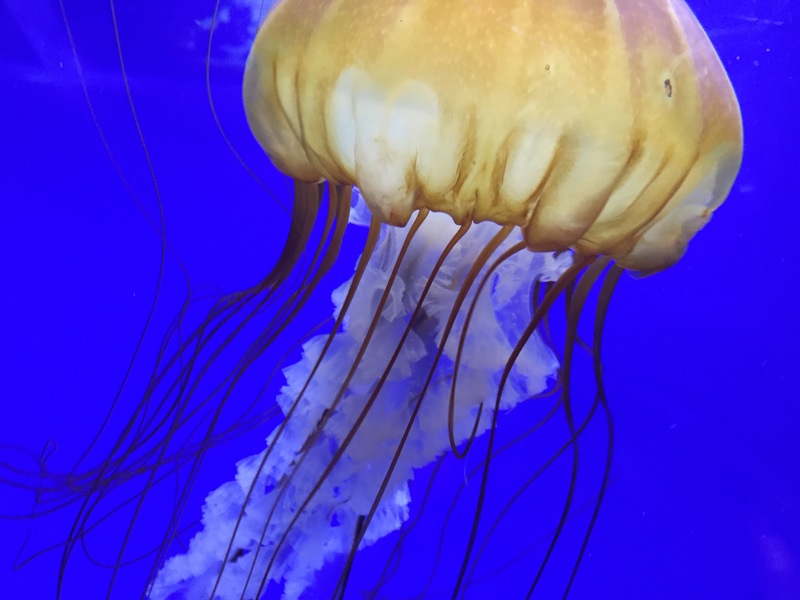 What are your favorite exhibits at aquariums? Posted in amazing, life, northwest, photography, randomTagged aquarium, beach, beauty, iphone photography, jellyfish, joy, life, nature, newport, newport oregon, Northwest, ocean, oregon, oregon coast aquarium, outdoors, pacific northwest, Pacific NW, photo, photograph, photography, randomBookmark the permalink.